The Swamp Park manager said 18 American alligators froze Monday night in North Carolina. OCEAN ISLE BEACH, N.C. (AP) - Alligators in one North Carolina swamp have once again allowed themselves to freeze in place with their noses above the ice. 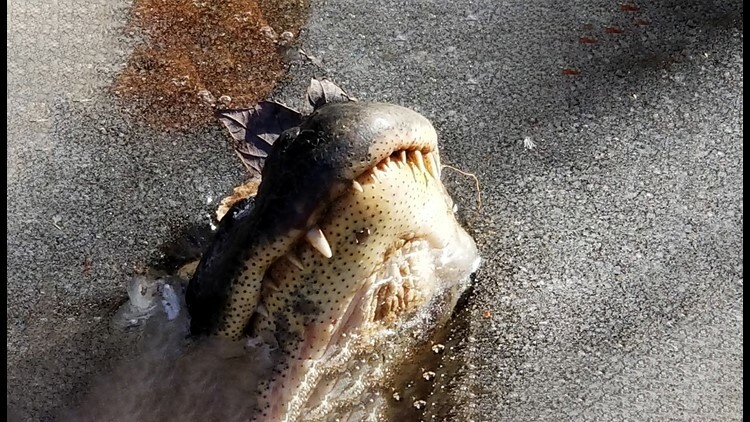 The Charlotte Observer reports The Swamp Park manager George Howard says 18 American alligators froze Monday night and stayed frozen all day Tuesday. He says the alligators seem to sense when the water is at its freezing point and poke their noses into the air "at just the right moment." Howard has said frozen alligators enter a state of "brumation," which is similar to hibernation.